Anthony Cooley, Innocent Bystander, Killed in Stone Mountain Gas Station Shooting; Fatal Security Lapse? Could this tragic Stone Mountain gas station shooting have been prevented and is justice available to the victim’s family? 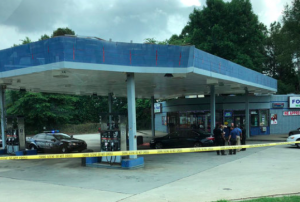 A gun fight broke out at a Stone Mountain gas station Wednesday afternoon, June 13, 2018, claiming the life of an innocent bystander, Anthony Cooley. According to The AJC, officers responded to “the Quick Stop Food Mart in the 1100 block of North Hairston Road,” shortly after 1:00 p.m. Police told WSB-TV 2 an innocent man was caught in the crossfire when “two men shot at each other from separate gas stations” across Central Drive in Stone Mountain. Tragically, Anthony Cooley succumbed to fatal injuries at the scene. Was negligent security a factor in the death of this innocent bystander and could this incident have been prevented? Read Our Legal Take below to find out if the victim’s family may have legal avenues for justice and claims for substantial compensation in Georgia. 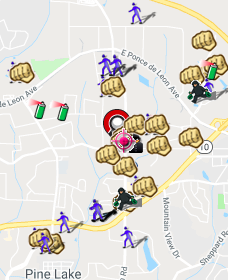 Recent crime reports from Spotcrime.com reveal a staggering number of violent crimes in the surrounding area. By law, property owners in Georgia are required to protect all those legally on the premises from any foreseeable harm. Should the facts of this matter reveal that the gas station owner or management failed to provide adequate security, the victim’s family may seek justice and elect to pursue legal claims for their loss.